The Event Site Center is wrapped up for the 2018 season, operations will resume early May, 2019. SUP rentals are currently available at our downtown location, 207 Front St.
You can call us for details at 888-509-4210. All rentals include: board, paddle, leash and PFD. All of our stand up rentals are conveniently located at the Big Winds SUP Center in Hood River, Oregon, in the Columbia River Gorge. Rentals for recreational use are on a first come, first served basis. No reservations are accepted. You are welcome to call the SUP Center (541 399 3106) to confirm board availability. Boards may be held for up to 15 minutes to allow you time to get there. 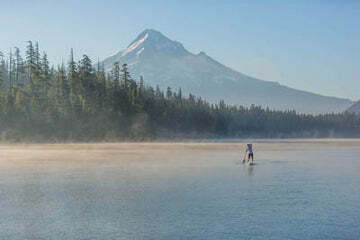 For Gorge Paddle Challenge rentals, call 541-386-6086 to reserve your board. Full payment is due upon reservation.